see in the bells, but by quarter past midnight, he’ll be home with us, welcoming in the New Year with his nearest and dearest. 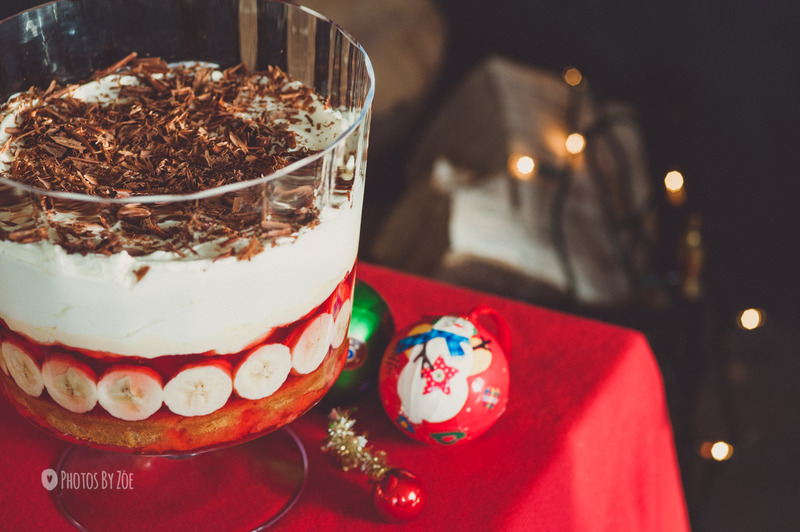 This trifle is a festive celebration centrepiece. It’s perfect as a Hogmanay party show-stopper – or for Christmas if you’re not a Scot and up at midnight to bring in the bells. Following the instructions on page 206, make a Genovese sponge and set it aside. To make the cranberry jelly, put the gelatine in cold water to soften for a few minutes, then remove from the water and squeeze out any excess. Set aside. Put the cranberry juice and sugar in a pan over a low heat until the sugar has dissolved. Don’t let the mixture boil. Remove from the heat, add the gelatine and leave to cool. Transfer the mixture to a glass bowl and refrigerate until the jelly is soft-set. 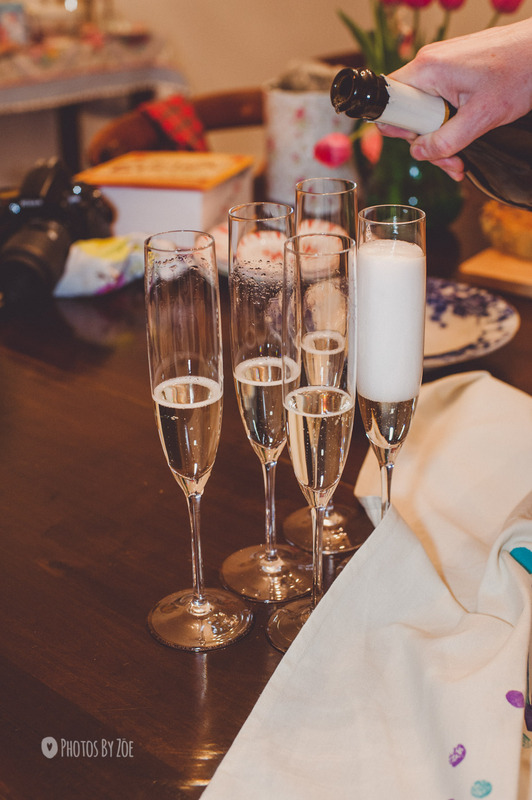 It must be soft enough to pour with a little help from a spatula. 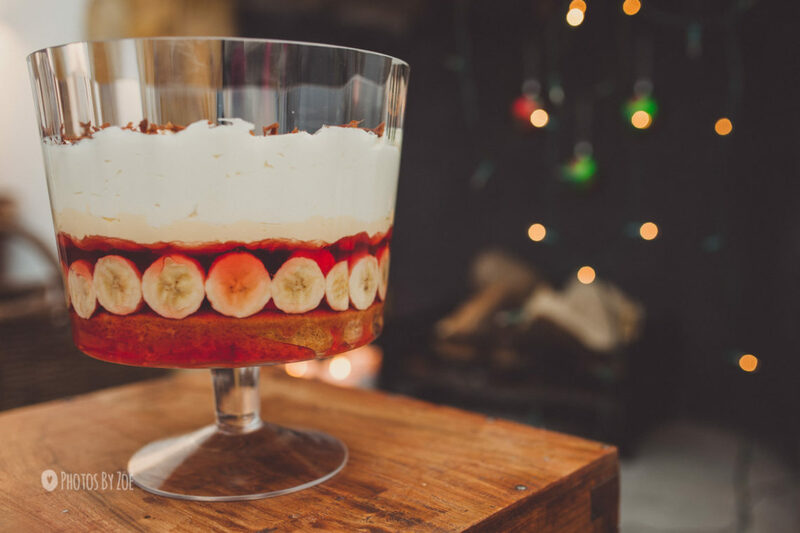 If it’s too set, you won’t get the lovely, even layers in the trifle that are always so appealing. To make the custard, put the cream and half the sugar in a pan over a low heat until the cream starts to steam but doesn’t boil. Whisk the egg yolks and remaining sugar by hand in a bowl and slowly add to the warm cream, using a balloon whisk to prevent lumps forming. Continue to beat the mixture over a very low heat until it starts to thicken. Remove from the heat and strain through a metal sieve. Transfer to a glass bowl and leave to cool. To prevent a skin forming, place a sheet of greased greaseproof paper on top of the custard. Meanwhile, prepare the pears. Peel them, cut them in half and remove the cores. Put the ginger wine, water and sugar in a deep pan over a low heat until the sugar has dissolved. Reduce the heat to a simmer. Put the pears and cinnamon stick in this syrup and cook for 15–20 minutes until the pears are tender. Leave to cool in the syrup. To assemble the trifle, choose your swankiest glass bowl. The showier the better but make sure it fits in the fridge. Start by placing a circle of Genovese sponge in the bottom of the bowl. Add a little of the pear syrup to moisten but not soak the sponge. Cut the bananas into rounds and arrange on the sponge, leaning against the sides of the bowl. Arrange the pear halves in the centre of the sponge. Pour the cranberry jelly over the fruits, cover with clingfilm and refrigerate until set. Only when the jelly has set, pour the cooled custard on top, cover again with clingfilm and return to the fridge. When the custard has set, softly whip the cream and spoon it on top. 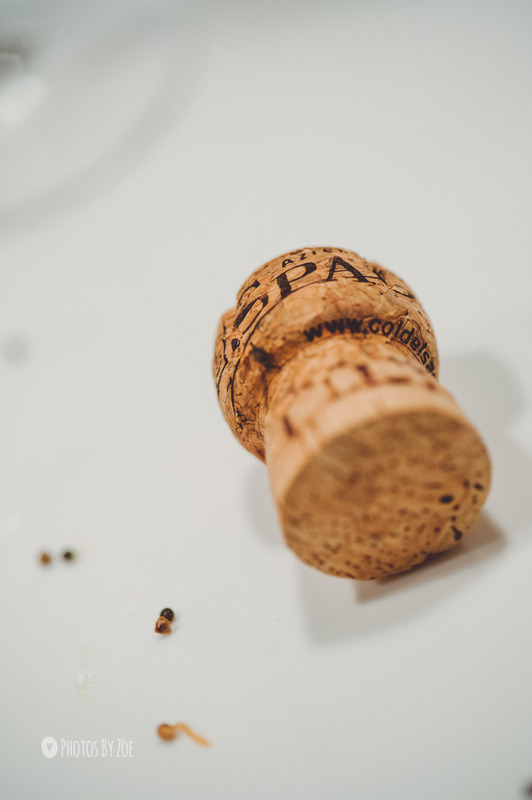 Decorate with the grated chocolate and serve straight away.